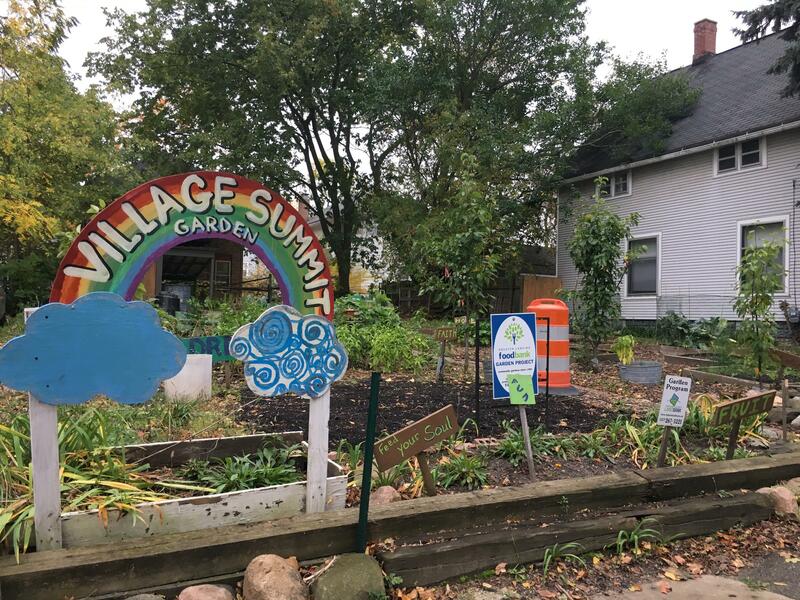 Lansing's Fabulous Acres neighborhood is home to three community gardens and has plans for an urban orchard where a burned out house now stands. That's largely thanks to the efforts of its residents. They've worked hard to build a safe and vibrant neighborhood. Stateside talked to two long-time residents, Dottie Canty-Armstrong and Marcus Brown, about what makes the neighborhood so special, starting with its unique name. Armstrong told us the name Fabulous Acres is a tribute to the neighborhood’s first community policing officer, Bill Fabiancyk. She said he came into the neighborhood at a time when there was a lot of distrust of the police, but he soon became an integral part of the community. The residents of Fabulous Acres wanted to name their neighborhood “Fabiancyk,” but Bill vetoed that. “And we were like, well what about Fabulous?” said Armstrong. The name stuck. What makes the neighborhood so special, Armstrong told us, is that people here consider each other family. They watch each other’s kids, come together for barbecues and block parties during the summer, and are always looking out for one another. “If my neighbors in my neighborhood, which is the million-dollar neighborhood to me, if they don’t see me within a few hours or a day, they’re coming knocking. Somebody better explain where I am and what’s going on. And if nobody answers the door, they’re coming in,” Armstrong told us. It was those strong community bonds that first attracted Marcus Brown to the neighborhood in 1995. He had just finished a doctoral program at Michigan State University and had started teaching in a public school in Lansing. Brown said he had wanted to live in the same neighborhood as his students. 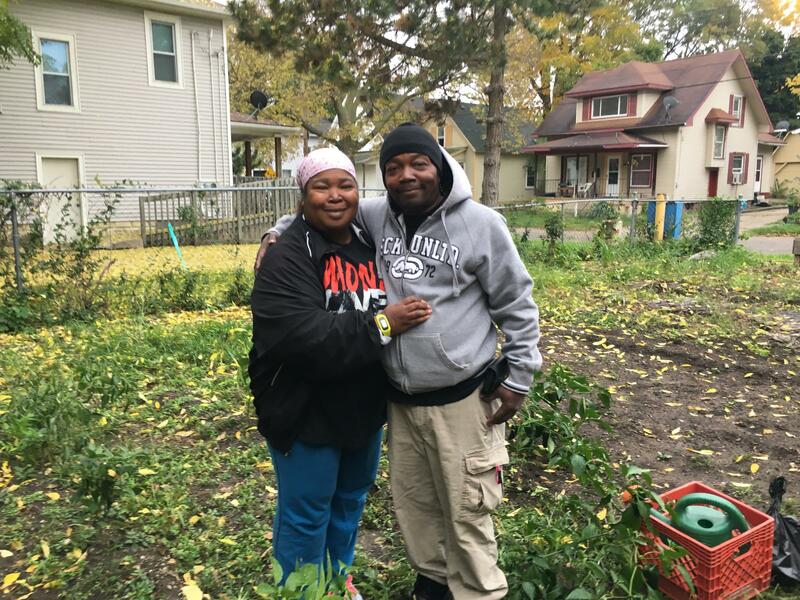 And when he found Fabulous Acres, it reminded him of his childhood growing up on the east side of Detroit. “It was a crowded, diverse neighborhood with a lot of people that had different backgrounds, but had a community and family feel to them. And that’s what I kind of appreciated. I was like, ‘This is a place where I can raise my children at,’” Brown said. The Fabulous Acres neighborhood has a history of coming together on projects to improve the lives of the people who live there. Take, for example, the park that sits right across from Armstrong’s house. It used to be an abandoned parking lot. Armstrong says that there weren’t a lot of parks close by for kids to play at, so the parking lot ended up as their de facto playground. 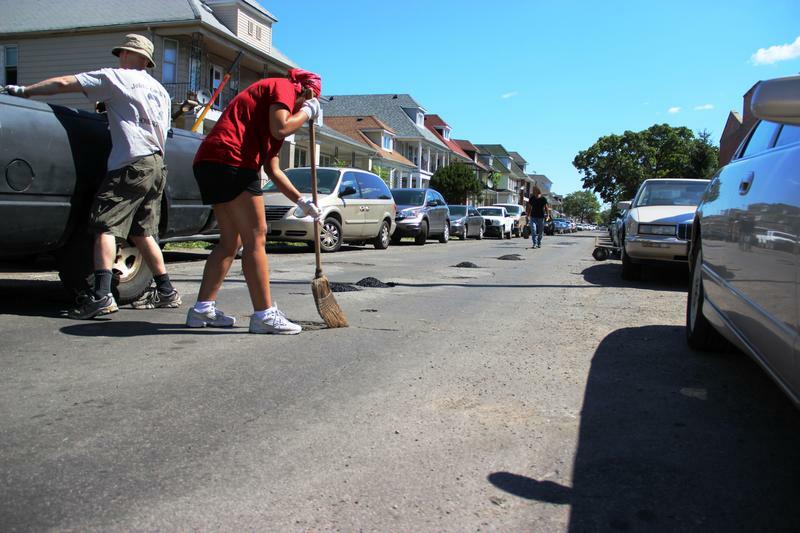 She and other neighbors would go there to clean up trash and broken glass. The Barb Dean Tot Lot was once an abandoned parking lot for the old Diamond Reo plant. Finally, neighbors came together and decided to do something about it. “We went down to city council and kept on bugging them: 'You got this piece of land here there’s nothing going on with it. We’ve got a bunch of kids, and I mean we have a bunch of kids. Can we get this land?' And they gave it to us,” Armstrong told us. They named it the Barb Dean Tot Lot after her godmother. “At that time, my godmother was the only black female that I knew that was alive that had a park named after her. And even though she’s gone now, everybody knows who she is,” Armstrong said. 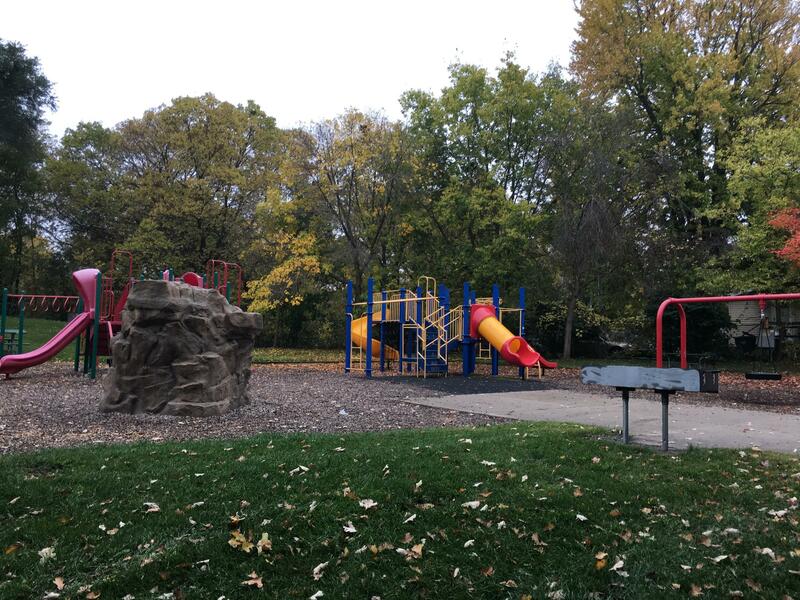 Today, the park is home to colorful play equipment, picnic tables, and a grill that gets more use than any other in Lansing, according to Armstrong. The “tots” that first played there are now grown, and she gets to see their children and grandchildren enjoying it, too. The Barb Dean Tot Lot isn’t the only example of the Fabulous Acres community coming together to solve a problem. Within just a few blocks, you’ll find three different urban gardens that offer fresh produce, in a neighborhood where the closest grocery store is almost four miles away. These gardens are maintained by volunteers from the community, but anyone can come by and grab some vegetables. Brown says all they ask is that you trade a couple of minutes of work in exchange for the free produce. “If you take a tomato from our garden, we want you to pull a weed,” he said. 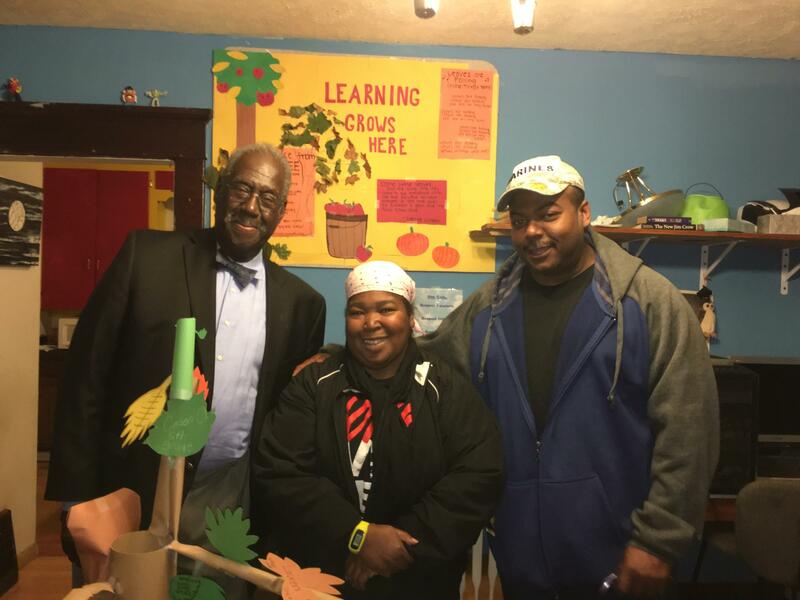 Marcus Brown bought the foreclosed house next door and turned it into the Village Summit community center. As a teacher, Brown said he’s tried to be a resource for kids in his neighborhood. They always knew that they could stop by his house to borrow a chessboard or get some help on their homework. In 2008, he decided to take that a step further. “I had always been saying someone needs to do something to help these kids out on the street, someone needs to do something. Finally, something kicked in in my head, and I said 'I need to do something,'” Brown said. 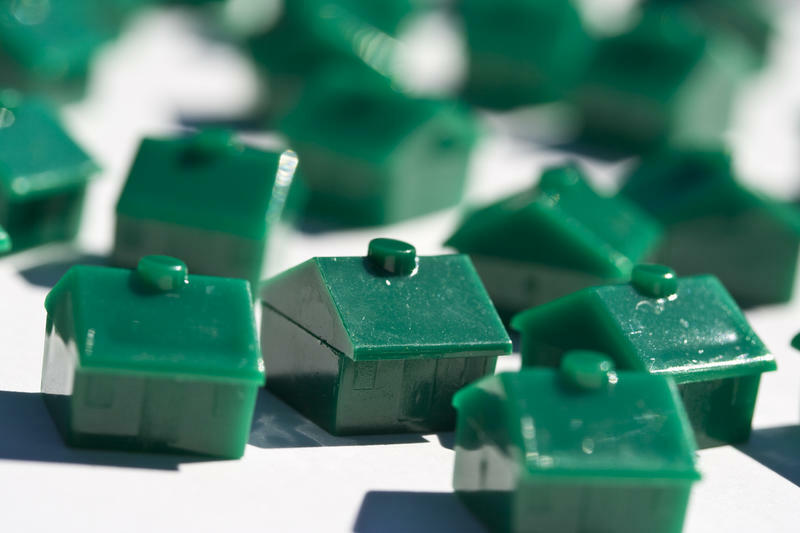 He and his wife decided to cash in their retirement savings to buy the foreclosed house next door to them. Brown got to work making renovations to turn it into a “micro community center.” But while it may have started out as his personal project, pretty soon the whole neighborhood was pitching in. “Landscaping started getting done by other neighbors. Other neighbors started to come in and volunteer to do painting or help with the floors or do multiple other things. And it became a community effort,” said Brown. Village Summit President Amel Eiland, volunteer Dottie Canty-Armstrong and founder Marcus Brown. He named it the Village Summit, after the old proverb about raising a child. And the community center lives up to that name. Neighbors volunteer to organize winter coat drives, Halloween parties and Easter Egg hunts. Kids stop by to use the computer or borrow books from the center’s library, and volunteers from Michigan State University come by to offer afternoon tutoring. Brown says the idea for creating the Village Summit was inspired, in part, by a neighbor he had growing up in Detroit. He lived just a few blocks down from civil rights icon Rosa Parks, though he didn’t know it at first. “I told her when I first met her: ‘That’s a big coincidence. There’s a famous woman with your name.’ And we kind of laughed it off. And I laughed for one reason and they laughed for another,” said Brown. Brown says Parks’ small act of defiance when she refused to give up her bus seat to a white passenger helped spark a massive civil rights movement. That’s the same philosophy behind everything the Village Summit does. Helping a kid with their math homework or teaching them how to play dominoes might not seem like a big deal, Brown said, but it could change that child's life. “Sometimes those small actions have mighty repercussions,” Brown told us. 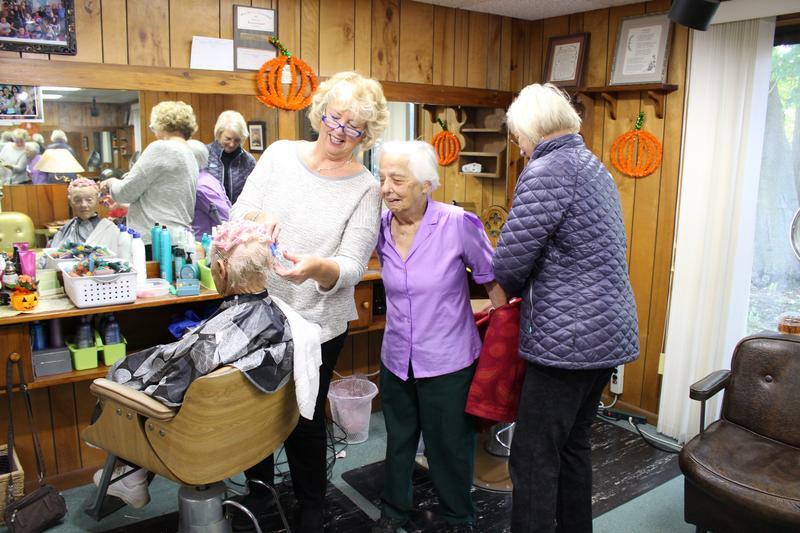 If other neighborhoods are looking to recreate the success of Fabulous Acres, Brown said one thing they can learn is that it takes all kinds of contributions and all kinds of people to make a difference. “Someone might not be a great tutor, but they can help us with other resources inside the center, which might be of a financial nature or doing repairs or helping us with gardening,” said Brown. 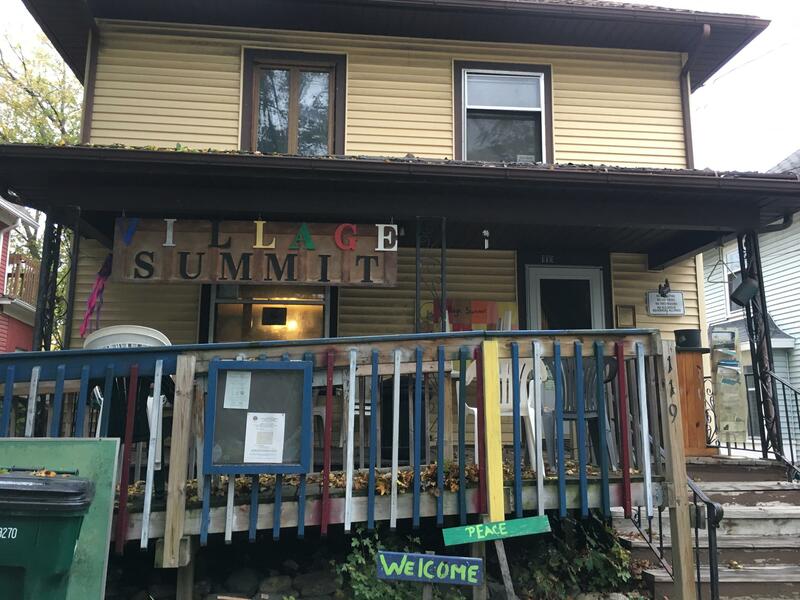 As a grassroots organization, the success of the Village Summit depends largely on donated time and resources from people in the Fabulous Acres neighborhood. But that’s not necessarily a bad thing, according to Brown. When neighbors pitched in to build or run the Village Summit, Brown said, it gave them a sense of ownership in the project. And that means that they get to see their own efforts making a difference in their community every day.